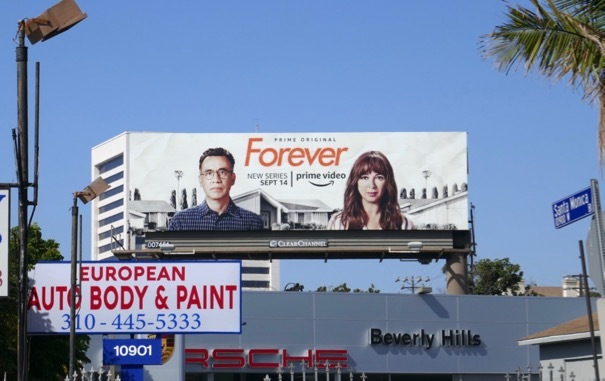 Anyone who watched Fred Armisen and Maya Rudolph's underwhelming Emmy performance may have thought it wasn't the best advertisement for their new Amazon Prime comedy, Forever, but hopefully their past projects will allow viewers to give them the benefit of the doubt and give their quirky new show a try. 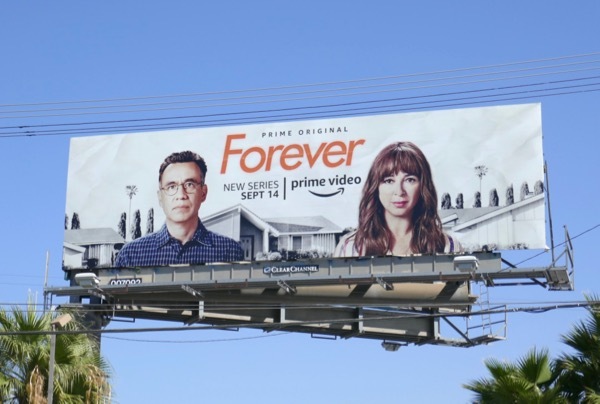 In the new series they play a longtime married couple living in suburban Riverside, California, who decide to shake things up by trying a skiing vacation instead of their traditional holiday, which changes everything. 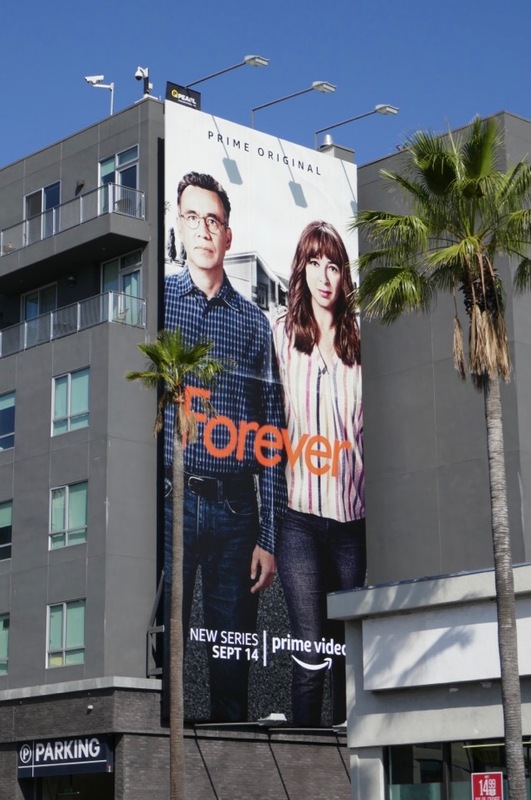 These series launch billboards for Forever were spotted along Santa Monica Boulevard, La Brea Avenue and Hollywood Boulevard from September 8 to September 19, 2018. 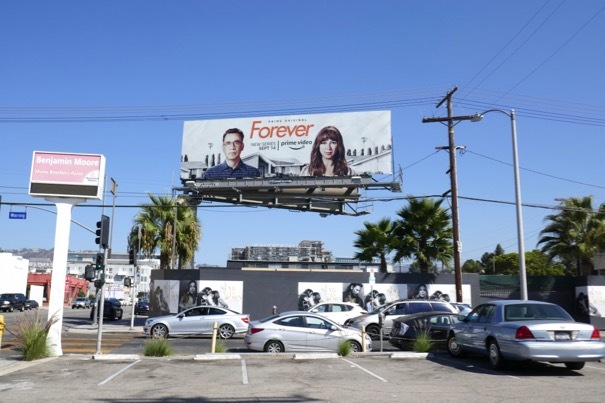 For more Fred Armisen be sure to also check out these Portlandia billboards and these Documentary Now! billboards. 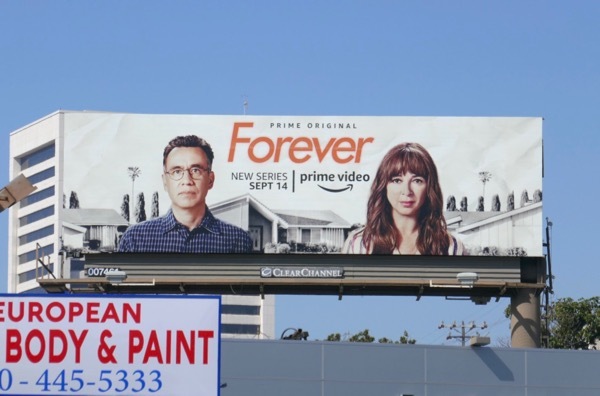 Meanwhile Maya Rudolph fans can enjoy these Bridesmaids movie billboards and these Up All Night sitcom billboards. Eight episodes don't feel like Forever, so if you haven't already, why not give it a try.